Collects Captain Britain (1976) #1-2, Marvel Team-Up (1972) #65-66, and material from Hulk Comic #1 and #3-5, Incredible Hulk Weekly #57-59, Marvel Super-Heroes (UK) #377-384 And #386, Daredevils #3-4, Mighty World Of Marvel (1983) #8-12 And Captain Britain (1985) #14. 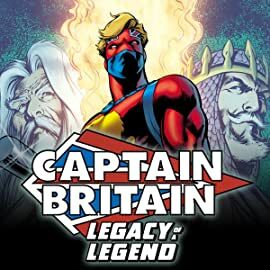 Honor four decades of myth and majesty with the United Kingdom's greatest hero! 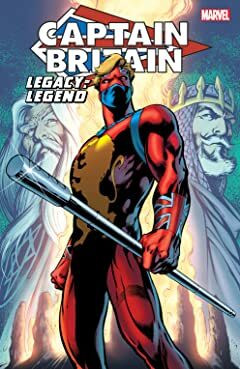 Follow Brian Braddock — handpicked for greatness by the sorcerer Merlyn — from the fateful decision that imbues him with the might of right on the path to glory that will make him protector of the Omniverse! Along the way, he'll make a splash stateside in a team-up with Spider-Man and fight alongside the Black Knight in the name of King Arthur! Things go from fantasy to far-out as Brian goes Multiversal — facing Slaymaster, the Crazy Gang, Mad Jim Jaspers and the Fury! He's Britain's champion — now and forever!